"My family and I live in Oklahoma. I stopped working almost 2 years ago when my youngest son was born. Now, I live the dream! 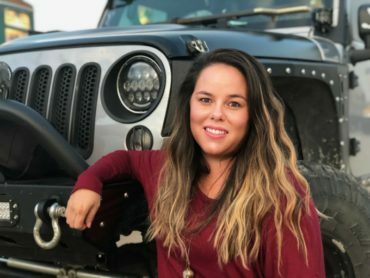 I take care of my family, run a non profit organization, and drive my Jeep everywhere I can." A: "Green, all kinds of green. My Jeep will soon be green!" A: "Yes, I have my first born, 10 year old son, Landon. He’s convinced one day he’ll be a spy. Even though Landon accompanies me on most off-roading trips his father has convinced him fast sports cars are where its at. Lily is my almost 11 year old step daughter, I never call her that. I’ve been her mom now for almost 7 years. She’s my gorgeous artist. Jaxon is my baby who was stillborn in June of 2014. He was beautiful and in his short time on this earth, he taught me the most important lessons in life. Everest is my 1 year old ray of sunshine. He shocks me daily with how incredibly smart he is." A: "Yes, 3 dogs. I have a male (Kuma) and a female (Nova) Shiba Inu and a female rescue mutt named JoJo." A: "No, the usual 3 kiddos in the back seat is enough for me." A: "I would say around 8, on ATVs and dirt-bikes. I started driving my dad’s old pickup at 13, so that I could haul water to our house. Without it we did not have running water at home." A: "Yes, we do it as a family activity all year long." 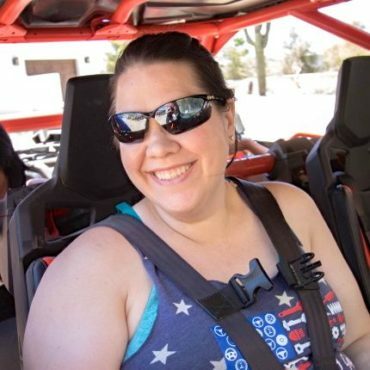 A: "Driver, my husband has is own Jeep." A: "At least 3 times a month, sometimes more in the summer months"
A: "I’ve ridden ATVs, UTVs, and dirt-bikes for years. The majority of my preteen years were spent in Colorado. We lived on a mesa, miles away from everyone and everything. We generated our own power, so TV and computers were not a luxury that we got to enjoy. I rode around that mesa all day, everyday." A: "Disney, Oklahoma. 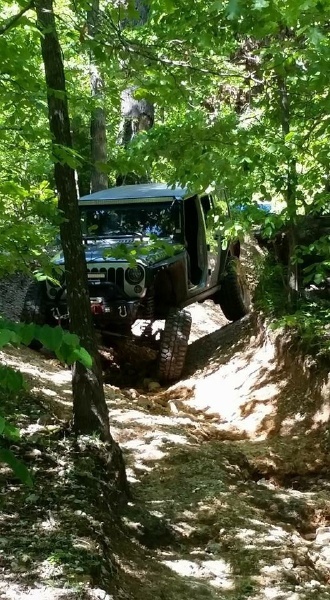 Hogans Offroad Park"
A: "Yes, Red Dirt Jeeps. RDJ is a family friendly group. 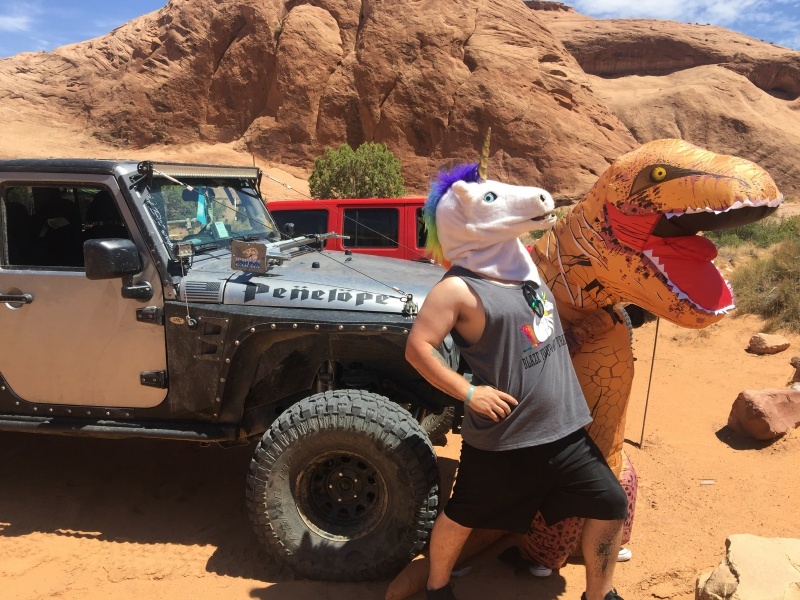 We love to help in our community and of course love going off-road. 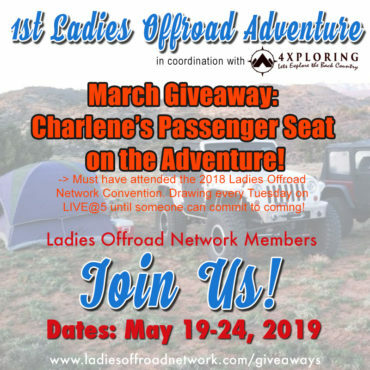 I also belong to Women's Offroad Connection- our goal is to help local off-roading women connect, learn, and encourage each other." A: "That’s a loaded question! I literally want to try everything. There are so many off-road parks on my bucket list. I want to race. I want to compete. 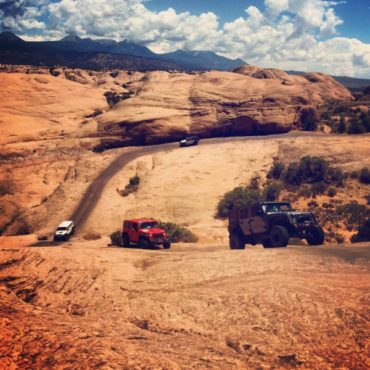 I need at least a week in Moab. I got a taste but it wasn’t enough. Short term goals are to make it to the Rubicon Trail. 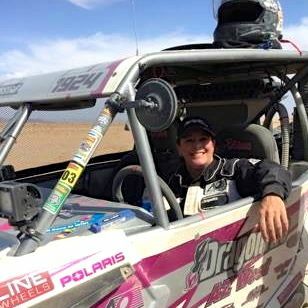 Long term goals are to compete in races and off-roading competitions." A: "Here at home I’m very active. 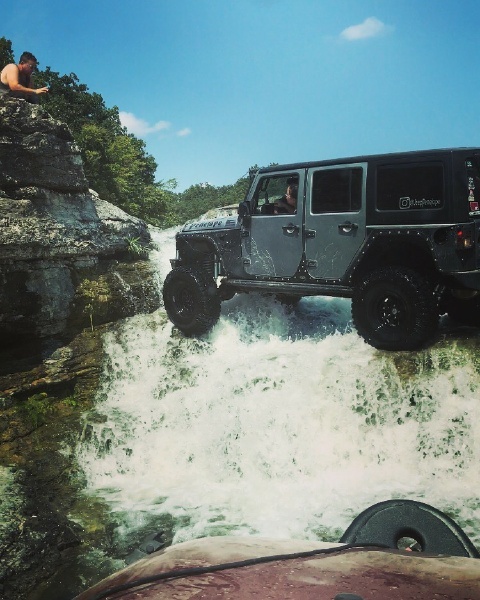 I help admin the largest Jeep group in Oklahoma, Red Dirt Jeeps. We have over 4200 members. 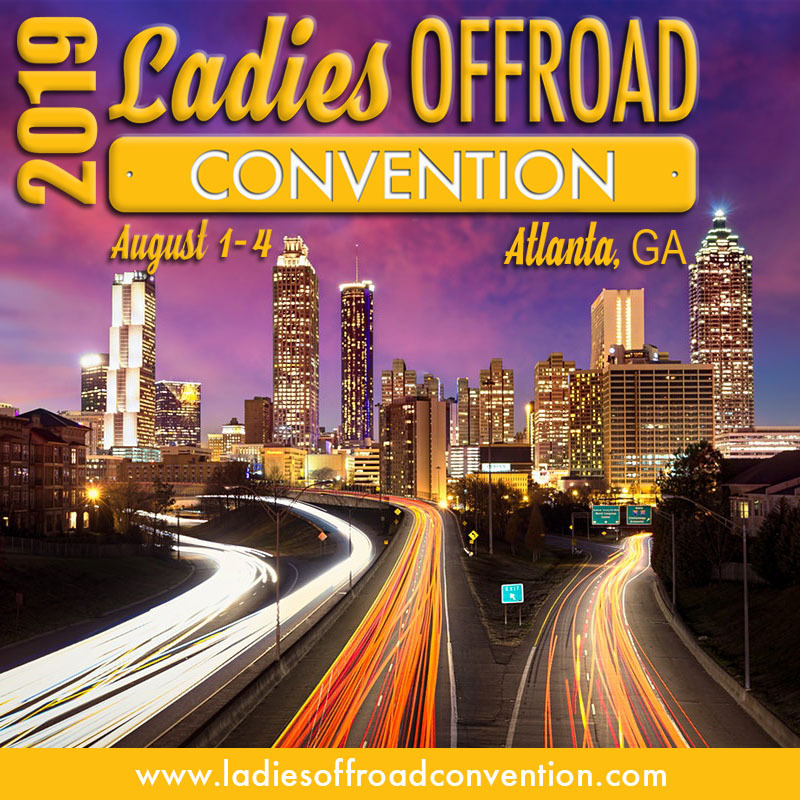 I also have a group of about 100+ women called Women's Offroad Connection. 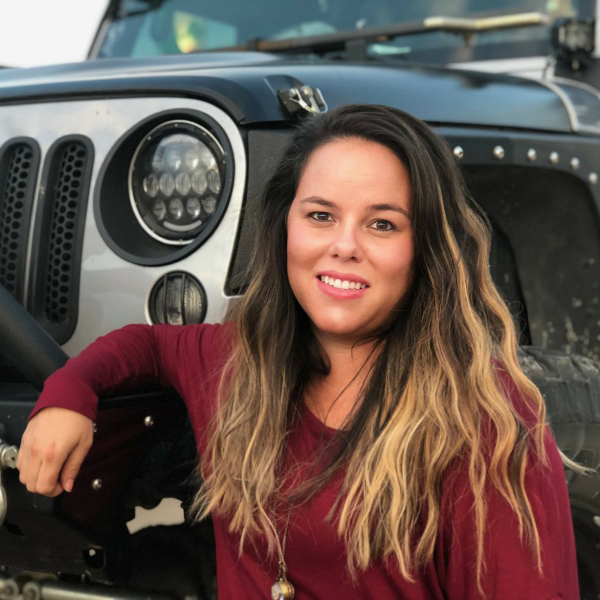 Our goal is to help women learn and feel comfortable off-roading. I am the president of a nonprofit foundation called The Jaxon Kade Foundation. We raise money for families who have lost a baby through pregnancy loss, stillbirth, or SIDS. Every year in October we hold The 4x4 Show. Any and every off-road vehicle is invited. Its a huge event and a lot of fun." A: "There are so many. Every time I accomplish something that looks impassable or do something someone said I couldn’t do, it's memorable to me." A: "With my Jeep? I took it back to my off-roading roots the first time I took it off-road. 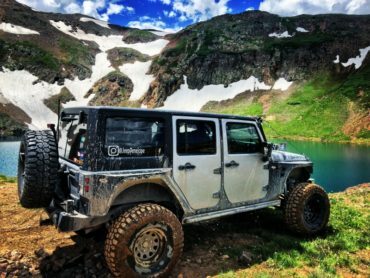 We took a trip out to Creste Butte, Colorado and went wheeling." A: "This summer we took a trip to Ouray, Colorado and Moab, Utah with several friends, We wheeled every day for a week. It was the best trip yet." 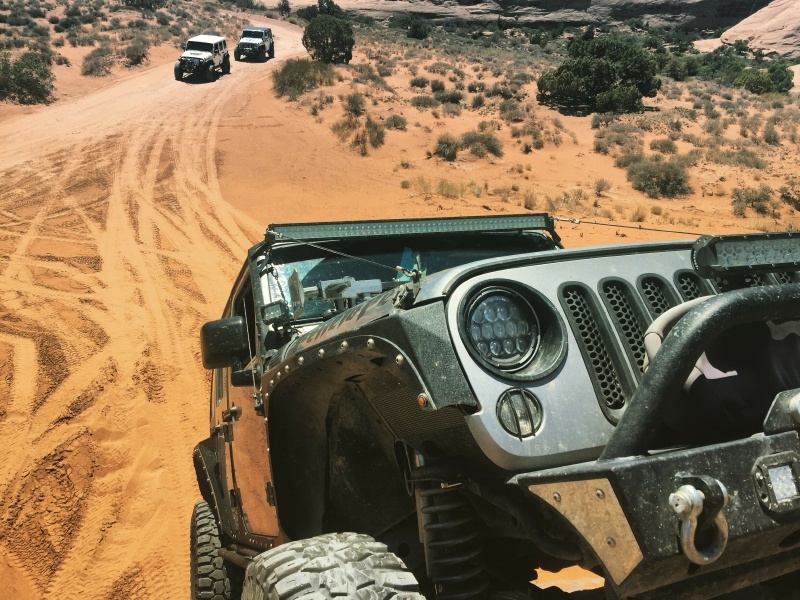 Q: What changes have you seen in the off-road community since you started wheeling? A: "It seems to have gotten a little more serious and cut throat. Some just want to win and be the best, that's all that matters to them. I enjoy every aspect of wheeling. I just want to wheel my Jeep and I don’t care who’s watching. To me it's about the fun." A: "All of the desert racers. I love watching it and one day I’ll participate in it." A: "Good, just because I’m a girl doesn't mean I can't off-road!" A: "Recently, I taught my first ladies only recovery class. It was my first class made up of only women. I think I was more nervous doing that class than any co-ed teaching I’ve been a part of. It turned out great, nothing to worry about at all. 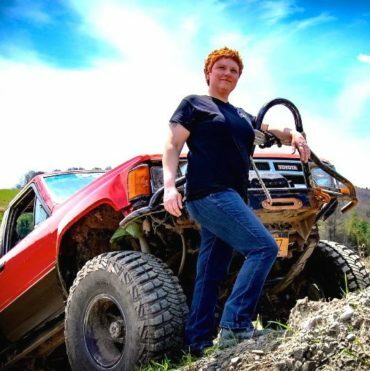 Off-roading women are special ladies, I don’t know what I was worried about." A: "You can do it. Learn at your own pace, you don't have to prove yourself to anyone." 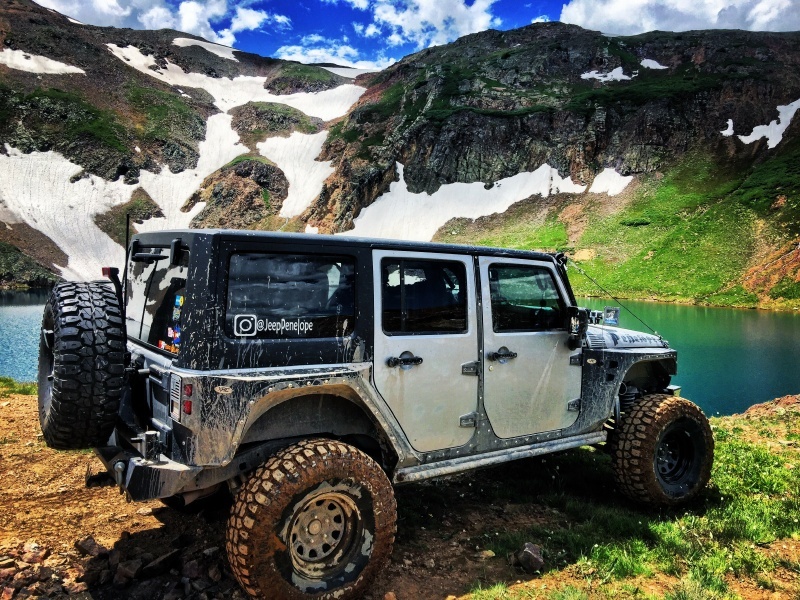 "2015 Jeep Wrangler. She's currently being completely renovated: new hood, grill, paint, and a complete insane overhaul to the suspension and axles." A: "There are so many modifications happening to it right now. I know I’m going to love the paint/lining but I think the new axles will be my favorite." A: "Yes, my goal is to become completely familiar with every part of my vehicle. It's a lot to take in, but I’m learning so much."